Apartment with sea view in a typical, recently renovated house located in Agliozzo. Apartment with sea view, in a typical house, recently renovated. Located in Lipari, in the Bagnamare street. Nice apartment with sea view, in a typical house, recently renovated. Located in Lipari, in the Bagnamare street. Delightful apartment with sea view, in a typical house, recently renovated. The silence of the early hours of the morning, the scent of Mediterranean flowers, the blue of the sea from the private terrace of your room. 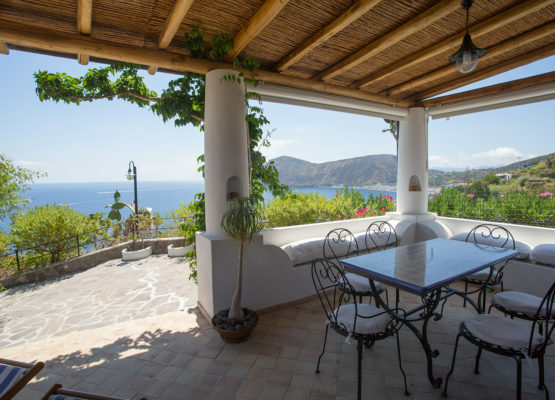 Casa Agliozzo is the perfect place if you want to immerse yourself in the sweet and enveloping atmosphere of the island of Lipari. 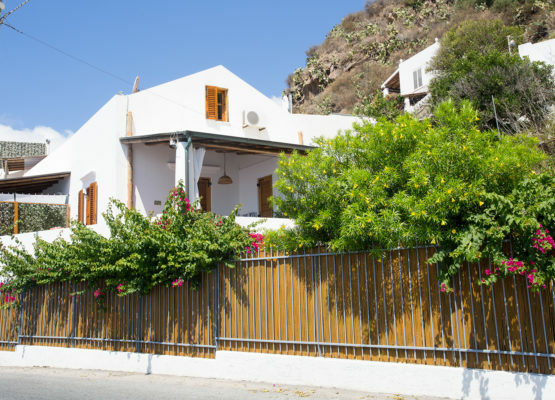 Here you can enjoy the privacy of an almost exclusive home, well connected to the most famous places on the island. Very comfortable. Everything was more than we expected. Many thanks for the wonderful service and kindness extended to our group. We will recommend Agliozzo in Lipari every time! Exceeds my expectations. It was a pleasant and enjoyable stay. Thank you for making our stay in your Holiday Houses a pleasant and enjoyable one. 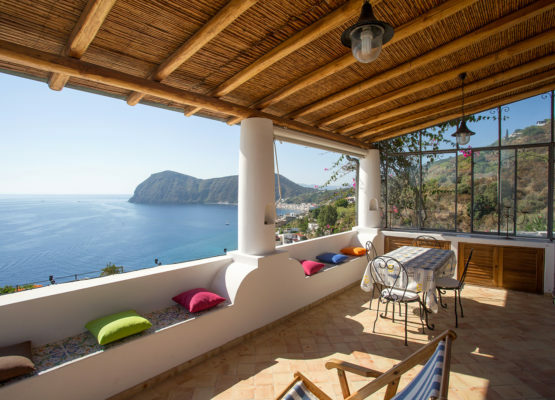 Imagine a Mediterranean house overlooking the sea of the Bay of Papesca, a place where you can hear only the lapping of the waves and admire the colors of the sea of Lipari. 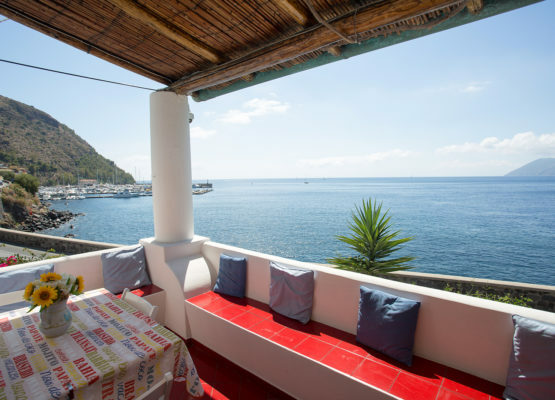 It is not a dream but a small description of the Holiday Homes ‘Agliozzo’ in Lipari, Aeolian Islands. Do you have different needs or do you want a quote? 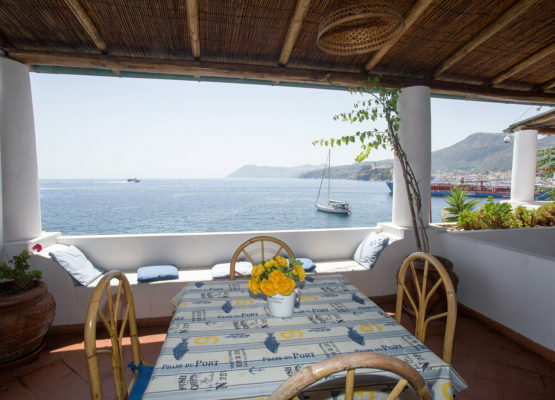 All you need to know for your trip to the Aeolian Islands! Nature, hospitality and sea views: welcome home! from € 70 / night. An unforgettable panorama awaits you!